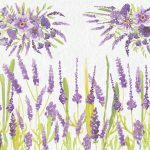 Watercolor clip art bundle of luscious Lavender; 11 premade items plus 6 patterns. 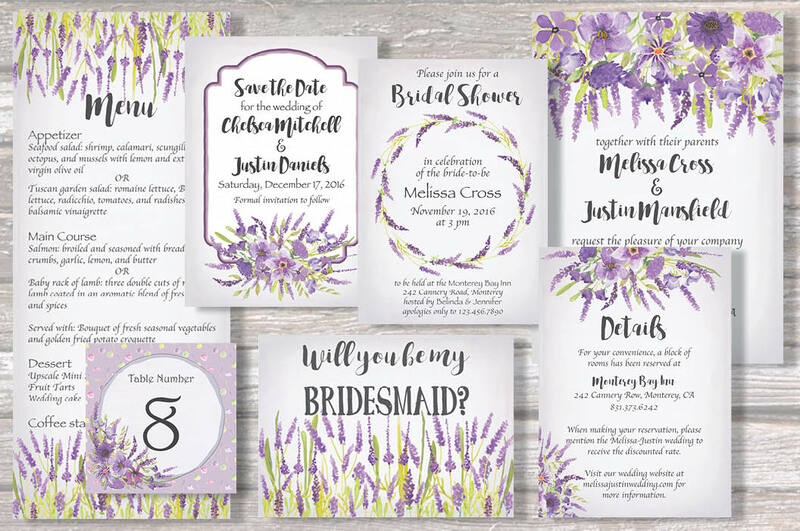 Do you want to create a french country look for your wedding stationery and other items? 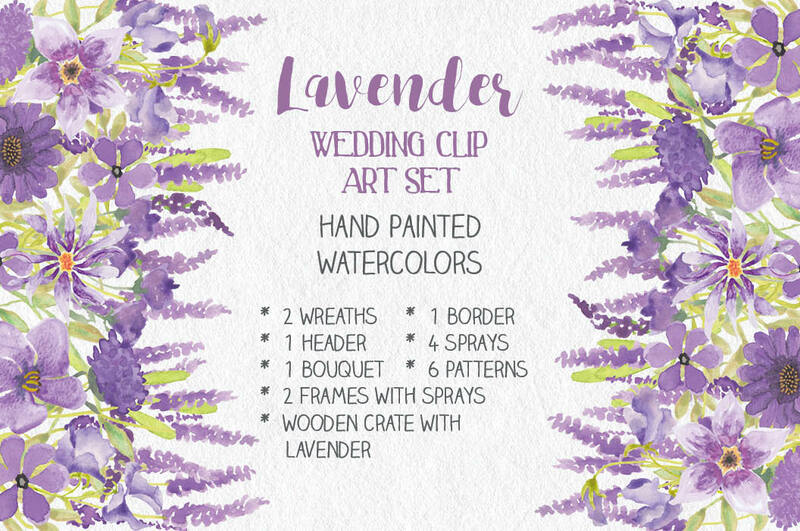 Then this bundle of hand painted watercolor clip art in Lavender is just what you need! 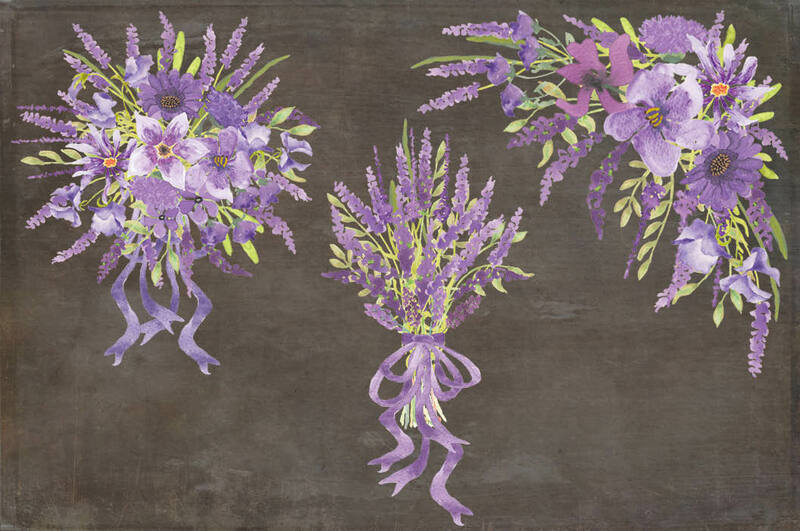 Purple and lilac-toned flowers have been used in some of the clip art items to add to the Lavender flowers. 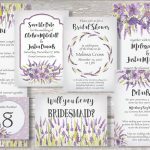 Ideal for wedding and other stationery, paper-based crafts, decoupage, labels, logos and much more! – 1 card / page header (reduces exactly to a 5 inch X 7 inch card). 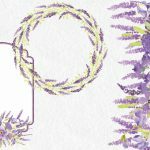 – 1 frame with spray embellishment (reduces exactly to a 5 inch X 7 inch card). 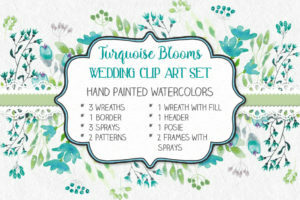 – 1 circular frame with watercolor wash fill, and spray embellishment (reduces exactly to a 5 inch X 5 inch card; works well as a table number card, or a thank you card). 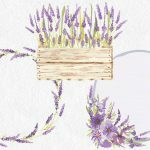 – 1 wooden crate with lavender flowers. 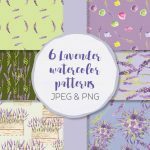 – 6 seamless digital patterns. The JPEG patterns have a color background. The 2 wreaths measure 10 inches X 10 inches (3000 X 3000 pixels). 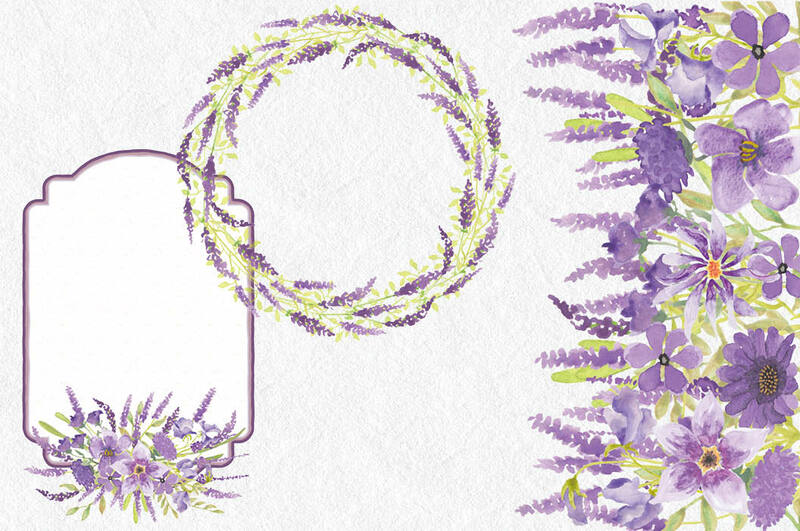 The card / page header, as well as the frame with spray measure 7.5 inches X 10.5 inches (2250 X 3150 pixels). 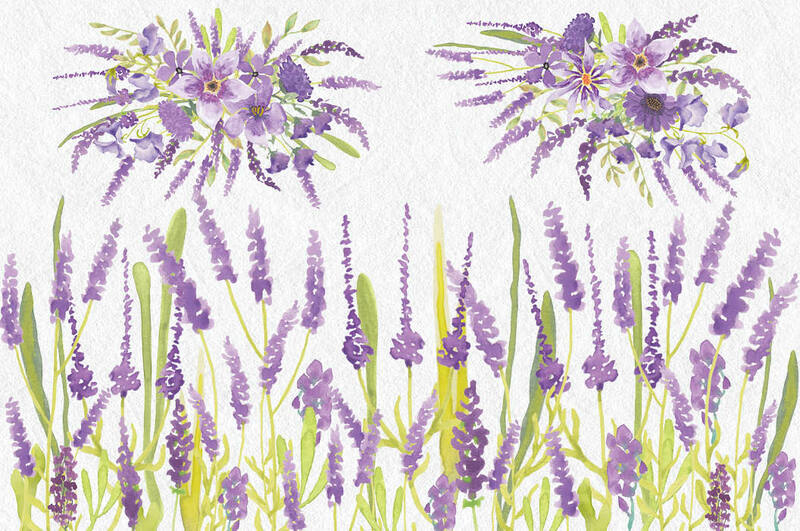 The border measures 10 inches X 8 inches (3000 X 2400 pixels). Spray 1 measures 9 inches X 6 inches (2700 X 1800 pixels). Spray 2 measures 5 inches X 8 inches (1500 X 2400 pixels). Spray 3 measures 8 inches X 8 inches (2400 X 2400 pixels). Spray 4 measures 8 inches X 9 inches (2400 X 2700 pixels). 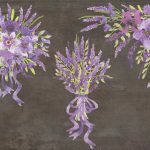 The bouquet measures 5 inches X 8 inches (1500 X 2400 pixels). The circular frame with spray measures 10 inches X 10 inches (3000 X 3000 pixels). 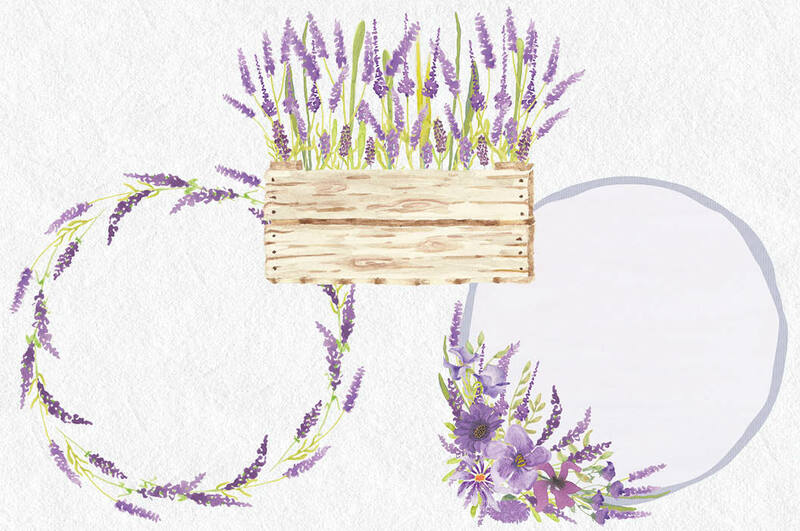 The wooden crate with lavender flowers measures 10 inches X 8 inches (3000 X 2400 pixels). The digital patterns measure 12 inches X 12 inches (3600 X 3600 pixels). 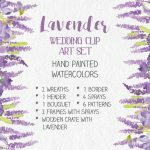 Folder 1 contains: 2 wreaths, border, header, bouquet, 2 frames with sprays, and Lavender in crate (JPEG and PNG) – 16 files. 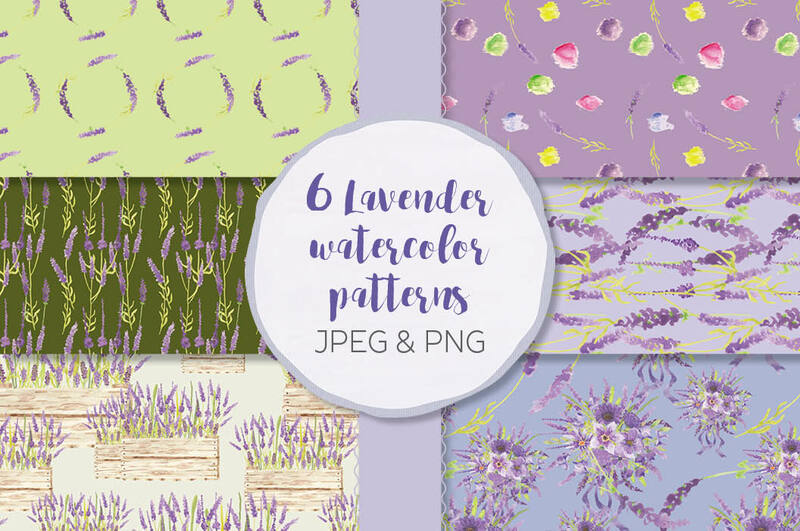 Folder 2 contains the 6 patterns and the 4 sprays (JPEG and PNG) – 20 files.